How many go through their day complacent in the status quo? No passion for life. No zeal for better. Just run the ordinary course of the ordinary life jogger, following the crowd, content with a heart that’s just beating but not alive. A heart that is alive thrills at the unknown. A heart that is alive craves to pump its life source throughout every crevice of its being. Those who seek for God are not content with just the rhythmic beat of every other man. Their heart wants to thump against the chest wall to express the life that lives in it through Him. 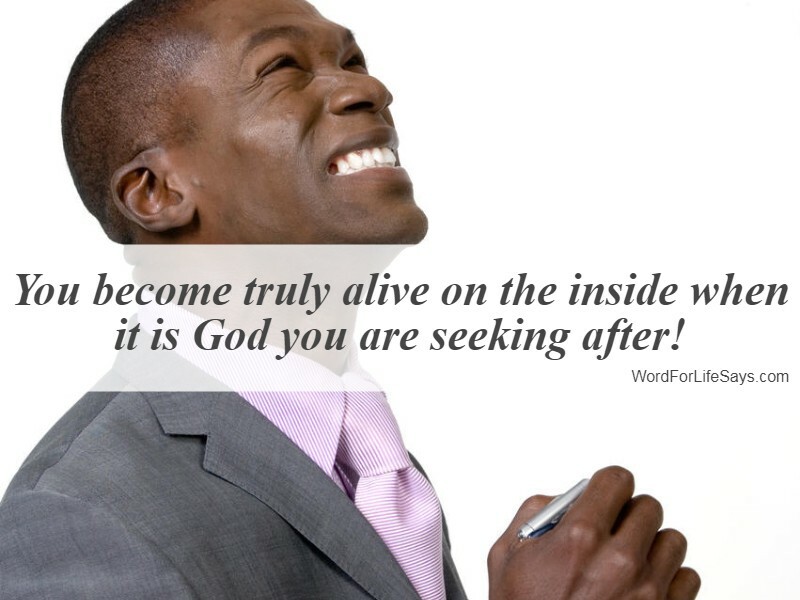 When one seeks God it stirs up something on the inside of them. It stirs a wanting of more. Kind of like a first love. You seek to be near that person or to simply hear their voice. When contact is made it makes the heart beat a little faster and you feel alive! God promises those that look for Him with that same passion your hearts shall live. Your heart will tell a story all its own about the love that dwells in it for the one you seek.